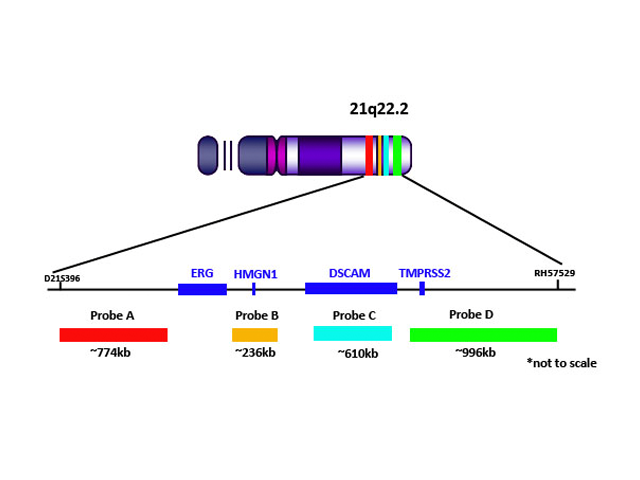 The IGH/CCND1/FGFR3 Tri- color probe is designed to detect chromosomal rearrangements involving the immunoglobulin heavy chain gene (IGH) binding partners CCND1 and FGFR3. 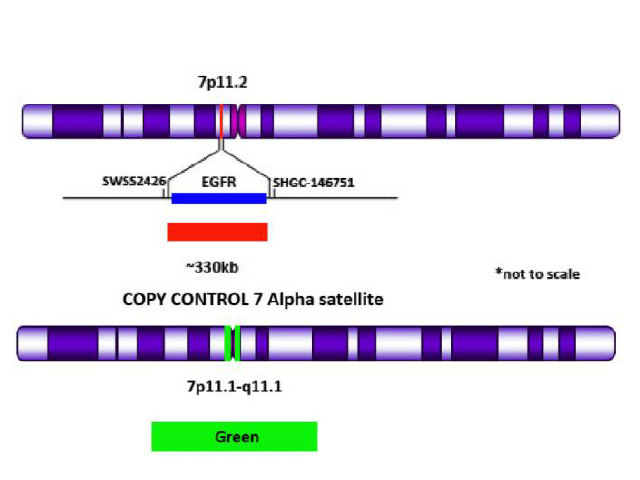 IGH gene rearrangements are considered to be one of the classical cytogenetic gene aberrations associated with numerous cancers such as: Chronic lymphocytic leukemia (CLL), Multiple Myeloma (MM), and NonHodgkins lymphoma 1, 2, 3. 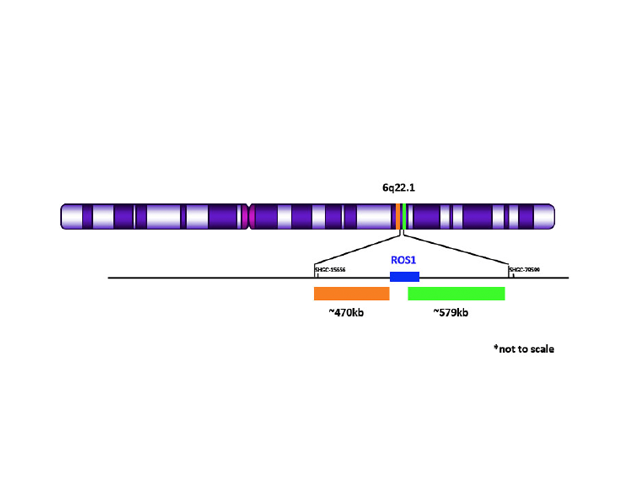 Chromosomal rearrangements involving the IGH gene have been identified in 70% of MM patients, 50% of nonHodgkins lymphoma patients, and 16% of CLL patients 2, 4, 5. 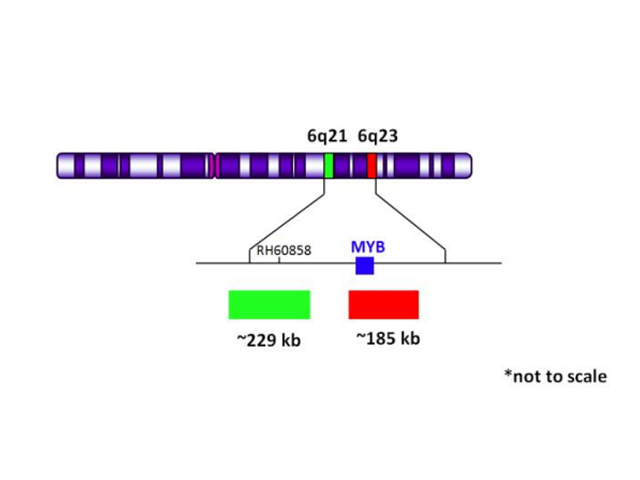 Cytogenetic abnormalities involving the IGH gene, give rise to unique gene rearrangement patterns that are used to characterize the molecular pathogenesis of multiple myeloma. 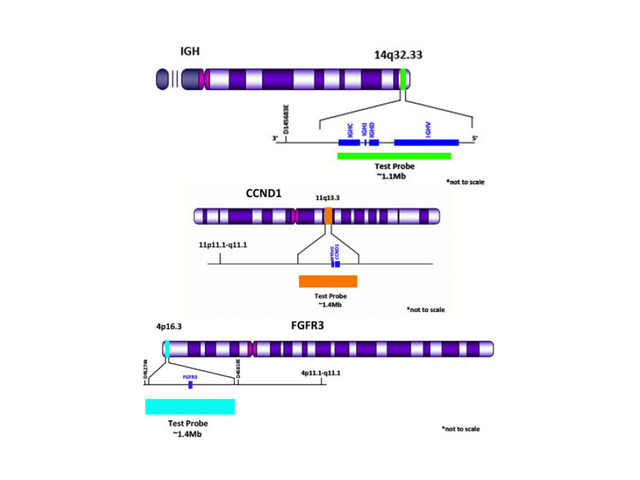 IGH gene rearrangement partners such as CCND1 and FGFR3 have been identified as recurrent chromosomal rearrangements and are used to stratify patients with different diseases phenotypes 6, 7. A conventional cytogenetic technique such as fluorescent in situ hybridization (FISH) is considered one of the gold standards for detecting IGH gene rearrangements 8.